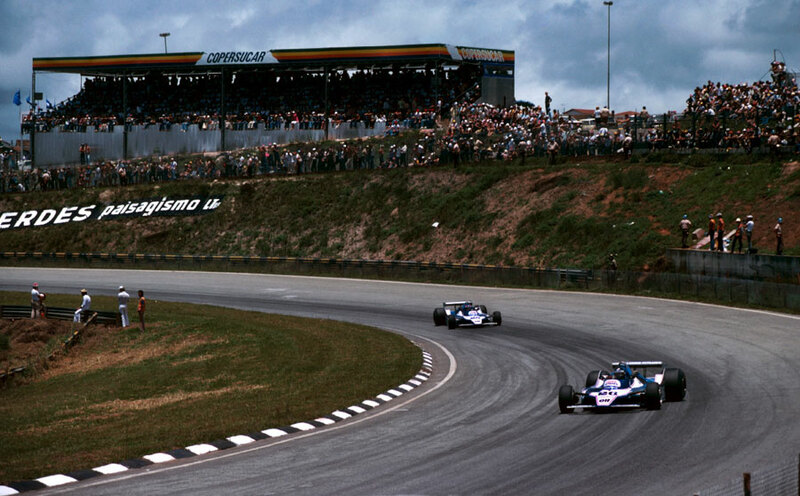 Jacques Lafitte showed his win a fortnight earlier in Argentina was no fluke by winning the Brazilian Grand Prix at Interlagos. The French Ligier team had been quietly impressive over the winter but few had noticed, amid all the furore about the front runners and how they were dealing with ground effects. Many had dismissed Lafitte's win at Buenos Aires as a one-off fluke, but when he and Patrick Depailler once again occupied the front row of the grid, it was clear to even the most cynical observer the new Ligier was a genuine title contender. Lafitte's pole position was even more remarkable as he set his time while carrying a full fuel load without the widely-used special extra-sticky qualifying tyres. But Lafitte angered rival teams when he continued for another four laps at the end of the practice session. Bernie Ecclestone, the head of the Formula One Constructors Association, made clear his displeasure, and his mood was hardly helped when he was almost run down in the pit lane by Lafitte as he eventually ended his session. The Ligiers shot off into the distance from the start of the race, leaving the battle for the remainder of the points on offer. Carlos Reutemann, whose McLaren had stalled on the grid, fought back to take third, albeit finishing a mile or more behind the Ligiers. The Ferraris of Jody Scheckter and Gilles Villeneuve failed to cope with the Michelin tyres - the team were not worried as it was the last outing for the T3 before the new ground-effects car made its debut - and there was an unfamiliar sight as Didier Pironi brought home his unsponsored Tyrrell in fourth. The drama was not quite over as stewards tried to penalise Reutemann for what they claimed was a push-start off the dummy grid before the warm-up lap. No sooner had they decided not to take any further action than the Fittipaldi team lodged an official protest, and then post-race Ferrari also objected. In the end, Reutemann's third place stood but as the arguments raged it was Pironi who got to stand on the podium. Hunt's wretched season with Wolf continued. After narrowly avoiding injury in Argentina when the car's nose cone flew off, this time the gear lever came away in his hand.